Hilton Istanbul Bomonti Hotel & Conference Centre, Istanbul’s largest hotel, has welcomed guests for the first time. With 829 rooms and suites, as well as 12,000sq meters of event space, the hotel builds on Hilton’s legacy of almost 60 years in Turkey. 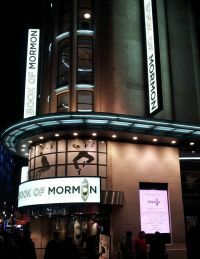 Visitors to London, and residents too, will be pleased to learn that the Society of London Theatre (SOLT) is again running a special discount scheme during the traditionally quiet month of January, until 13 February. New York now has what is claimed to be the tallest single-use hotel in North America. 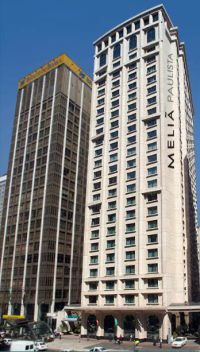 The impressive 68-storey building, 1717 Broadway (54th Street), is just steps from Central Park and Times Square and combines a 378-room Courtyard and 261-suite Residence Inn hotel in Midtown Manhattan. 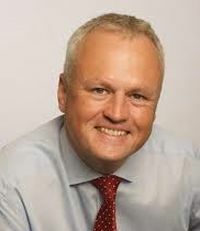 Following the resignation of Kevin George last year, another former British Airways executive has been appointed Managing Director of Monarch Airlines, Andrew Swaffield. Monarch Group Executive Chairman Ian Rawlinson has run the airline over the last few months whilst a replacement was sought. The international hotel groups are rushing in to add to their Brazilian portfolios in time for the World Cup later this year. The second A350 XWB development aircraft, MSN3, is in Bolivia where it is performing a series of tests at the high altitude airfields of Cochabamba and La Paz. Cochabamba is around 8,300ft above sea level, and La Paz is one of the world’s highest airports at 13,300ft. The opening of Berlin Brandenburg Airport has been delayed by at least another year as problems continue to delay the facility's start-up. That is according to Brandenburg Airport Supervisory Board Chairman and Berlin Mayor, Klaus Wowereit, quoted extensively in media reports from Germany. Air New Zealand has signed a licensing agreement with China Airlines for its Economy Skycouch seat. 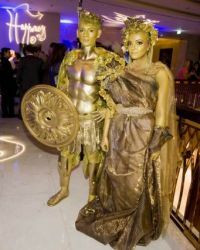 Hilton’s top branded hotel, the Conrad, has opened in Dubai with an outstanding party. On arrival, guests were greeted by a carnival of colour, light and sounds that included fire dancers, an authentic live Arabic art experience of Ayyalah dance and the famous celebratory, rhythmic, chanting dance drawn from Middle East history. 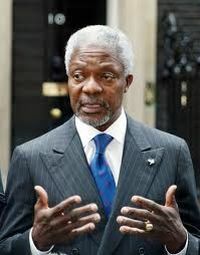 The 14th World Travel & Tourism Council (WTTC) Global Summit will take place at Hainan Province (China), 24-25 April 2014, with former Secretary General of the United Nations 1997-2006, Kofi Annan, as the keynote speaker. 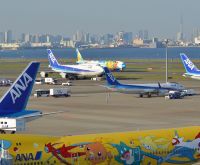 The value of an airport as near as possible to a city centre is being clearly demonstrated with a push by international airlines to return to Tokyo Haneda after their forced Narita encampment in 1978. In 2010 Haneda, a short monorail ride from central Tokyo, opened a new international terminal and fourth runway. The Japanese government has since then gradually opened up slots for overseas carriers. Moscow’s Ministry of Transport said that all liquids, regardless of volume, have been banned in carry-on luggage in Russian airports as the country increases security for the Winter Olympics in Sochi. It has been a very good year for Southend Airport, a record 970,167 passengers passing through the revitalised Essex operation between January and December 2013. The 2012 figure was 617,000 but the new terminal did not open until March of that year. On a 12-month basis it would have been 717,000. The end of year holiday period saw Stansted Airport’s £80m terminal transformation project taking shape as the new security area welcomed its first passengers. They Don’t Come More Sensible Than This! The year end has had the airlines rushing out their 2013 passenger figures showing that generally the last 12 months have been quite good as far as the numbers are concerned. We will have to wait for later, when the accountants take a closer view, to see what the profits (losses) are like. BTN reviews some of the larger European carriers. 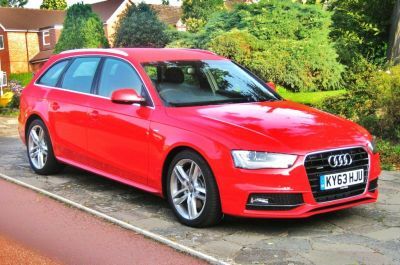 Travellers to Amsterdam Airport Schipol needing a hire car might wish to look at something different from their normal motor transport. 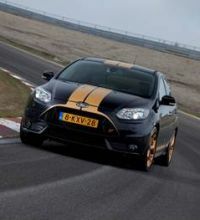 Hertz has added Ford Focus ST-H models to its Fun Collection in the Netherlands, with the ‘hot hatches’ now available to rent from Schiphol Airport. 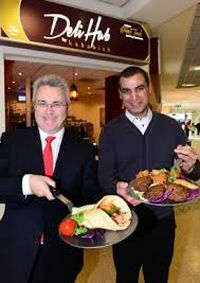 Things are hotting up at Birmingham Airport as a new deli serving traditional Asian street food has opened its doors to passengers inside the terminal. Inspired by authentic Asian flavours, Deli Hub by Kababish is the latest addition to the airport’s list of eateries, giving passengers even greater choice before they fly. Vueling, now a sister company of both British Airways and Iberia, has introduced a flight status system that might become the standard for all air carriers. Savvy readers will know that by typing a flight number into Google the rudimentary details come up. But you have to know the flight number. 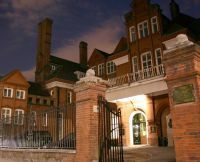 Travel trade readers might be interested in annual Americas Workshop 2014 which again take place at the London’s Royal Geographical Society, the dates 11-13 March. It is a small, intimate friendly event at a unique location just by the Albert Hall. 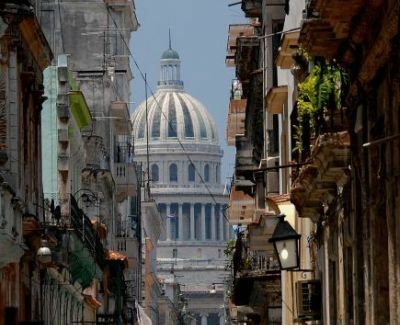 It brings together UK tour operators and ground handlers in Latin America, and provides a friendly and relaxed atmosphere in which to conduct business. It used to be easy. If you were going to Turkey on either business or holiday you lined up at the airport border control, paid a fee, got a piece of paper and that was it. Sometimes the queues were long. Not so any longer. Turkey has gone e-visa, which might be easier as the concept develops, and better from a security point of view, but certainly more difficult at this stage. It is more expensive too costing US$20. The real point is that if you are going to Turkey you need to plan ahead. The new arrangement starts from 14 April. ABTA has been most helpful in putting out a statement and highlighting the new arrangement.